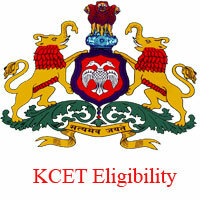 KCET Eligibility Criteria 2019 Updated. Aspirants can check the Karnataka State CET Exam Eligibility Conditions for all courses. Candidates can obtain the KCET 2019 Academic Qualifications & Age Limit requirements for the B.Tech, B.E, Pharmacy and other graduate courses. Applicants can go through the following sections to get the complete Karnataka CET Eligibility Conditions & Norms 2019. Candidates can also download the KCET Exam Eligibility Criteria 2019 pdf. Karnataka University is going to conduct the KCET 2019 exam like previous years. For that, officials have released the KCET 2019 Notification recently. The KCET Online Application Registration has started on 1st February 2019 and will be closed on 28th February 2019. As we all know, Karnataka University conducts this KCET Exam on behalf of the Karnataka Examination Authority (KEA). This Karnataka Common Entrance Exam is a state level exam for all the students to give admissions in Undergraduate courses. Every year, a huge number of candidates are getting entries into the Top Colleges/Universities through this Karnataka CET Exam. So, students who have the interest to complete their in under graduation in Karnataka state can apply for this KCET Exam 2019. Candidates must submit the KCET Online Applications before the last date to get admissions into your desired course. Aspirants who are willing to apply for the Karnataka State CET Exam must obey all the eligibility conditions issued by the authority. If the candidates do not satisfy all the KCET Eligibility Conditions, then they are not permitted for the Exam. So, applicants must check the Karnataka CET Eligibility Criteria and norms once before the commitment of Online Application submission. Here, we have provided complete details about the KCET Academic Qualifications, Age Limit conditions on this page. So, candidates can refer all the Karnataka CET Exam Eligibility Conditions and then only proceed to the application process. For further updates, candidates can stay tuned with us through www.kcetexam.in Website. Exam Dates 23rd & 24th April 2019. In this section, candidates can get a complete idea about the essential educational qualifications required for the KCET Exam 2019. So, applicants can read completely to get KCET Educational Qualifications. Candidates must have to complete 12th Class or Intermediate or any equivalent examination from the recognized board or university. Aspirants must have the Mathematics and Physics as a compulsory subject. Applicants should have the English as one of the languages. Candidates need to score minimum 45% marks in the exam. Aspirants who belong to the SC/ST/OBC cast can have the 40 percent to apply for KCET Exam 2019. Candidates who have completed the examinations and waiting for the results are also eligible to attempt the KCET 2019. Aspirants must have to complete their studies in Karnataka Government or Recognized institutions for a minimum period of seven years from class I to class XII. At least one of the parent of the aspiring candidate must have to complete their studies in Karnataka state for a minimum period of seven years. Applicants mother tongue should be Kannada, Tulu, Kodava and should be the resident of Kannada speaking area in India. Hence, candidates who worked as Ward of defence personnel for a minimum period of one year in Karnataka during the two years period of H.S are also eligible. For complete KCET Eligibility Conditions, applicants can download the below pdf. Am from tamilnadu….Am I eligible to apply for mbbs in private medical college in Karnataka?…..if so, what is the procedure for admission?….please let me know! I AM A STUDENT OF WEST BENGAL.CAN I APPLY FOR THE KCET EXAM? My daughter is studying in Karnataka for the past 7 years in a recognized school. I am a retired Ex-serviceman. We are planning to move from karnataka state due to official exigencies. Is she eligible to apply for KCET if fulfilling the other criteria such as marks and age? My daughter is appearing for NEET exam. She has opted for Physics, Chemistry, Biology, English and Economics. Can she write KCET exam to get admission to medical colleges in Karanataka. I am doing grade 12 in Dubai with PCMB. I am writing NEET for Medical . My parents are domicile of Karnataka. Can I write KCET to get admission in Medical colleges in Karnataka. Can Kcet qualified students in 2018 they have the seat of BDS ? What does eligibility clause z means?